If you buy a cooked rotisserie chicken or cooked chicken breasts, then this is a no heat in the summer salad. Even if you bake the chicken breasts like I do, it’s a low mess recipe and perfect for tiny kitchens. When I bake the chicken breasts, I dust them with a little salt, pepper, and smoked paprika. 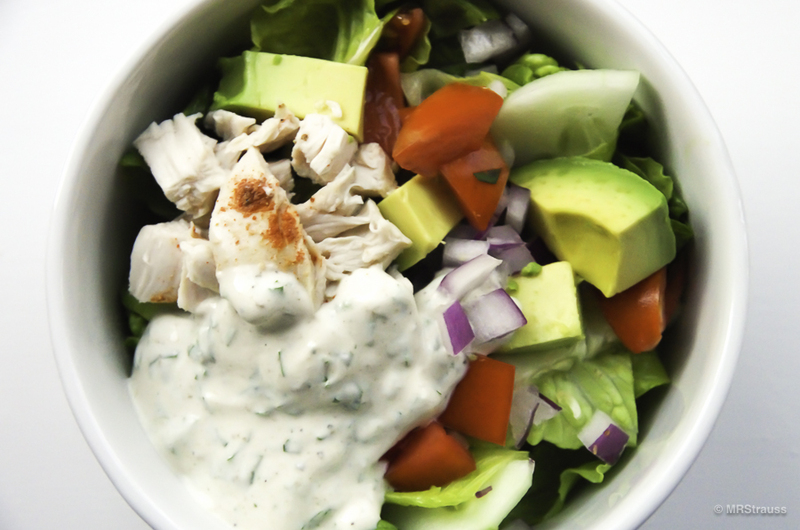 This entry was posted in Bentosh and tagged Avocado, Chicken, Cilantro, Greek Yogurt on July 30, 2016 by mrstrauss.